A woman driven to excel. A man ashamed of his past. A desire that could lead them to bliss…or peril. Etta Mae Cook, a mountain witch from Appalachia, arrives in London in 1895. Her goal: to study magic. But she steps off the train and into a dangerous world of politics, decadence, and power. Queen Victoria, the Prince of Wales, and the Fay Clan are waging a silent war. In the balance: the future of spellcraft in the kingdom. Etta’s lineage and magical power make her an asset – or a threat – to all three formidable forces. 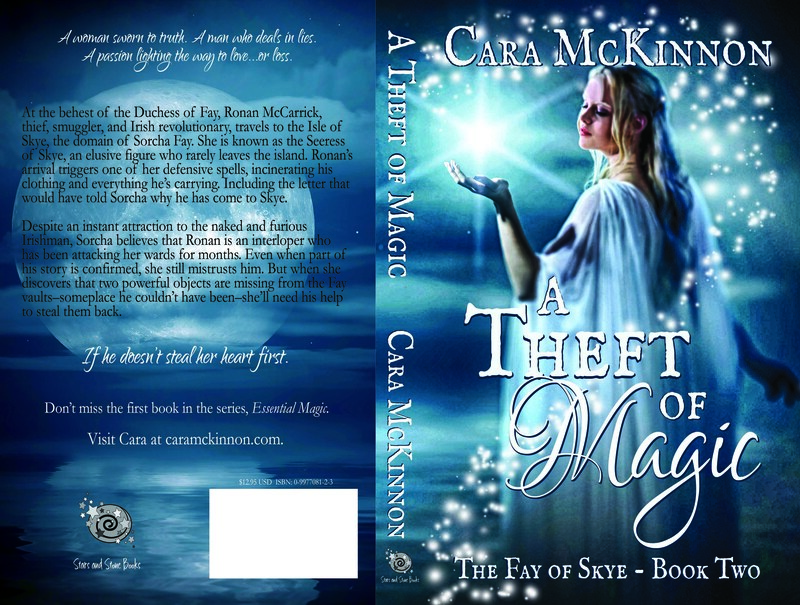 Her choices skew when she meets Malcolm Seward, a mage of the Fay Clan. He once held a prominent role in society, but a tragic mistake forced him to flee into obscurity. His attraction to Etta draws him back into the fray, but though she’s drawn to him in return, she didn’t come to England for desire. Despite her intentions, their passion flares, and Malcolm falls for her. Now, Etta must choose: love, or ambition? Either path could mean the renewal — or the destruction — of British sorcery. If she follows her heart, will she doom their magic? Mal rounded the corner of the foyer and his first boot-fall struck the marble floor in sync with his mother’s entrance. The synchronicity resonated inside of him, and he almost closed his Sight. Sometimes keeping it open made things seem more symbolic and important. Mages had gone mad, using the Sight too often or too long. But he needed to find out what was, even now, pulling at the edges of his magic. Mother looked startled to see him. She’d been out when he arrived, but he would have expected Father to tell her he was coming. “Hello, Mother,” Mal said, and squeezed her fingers. “Your father was supposed to have you meet me in Scotland. Now is not a good time for you to be here.” Her words were low, but distinct. His mother stiffened. Then, over her shoulder, he saw the reason for her reticence. And the reason for the surge of heat, magic, and passion that had nearly crumpled him to the grass. The woman was not what would be termed an exquisite, or what his grandfather’s generation would have styled ‘a diamond of the first water.’ There was something too primal in her features and her bearing, and her aura shimmered with power. She was a sunset on a mountain peak, or the eerie colors in the sky in the far north of Scotland. She was a vein of gold still glittering inside the rock, her treasure clear but held close, in her own keeping. She would never belong to anyone but herself, and that made him long for her to share that self with him—in every conceivable way. His mother noticed the indiscreet admiration, and the way the woman returned his stare. She frowned, and he knew why. Mal was supposed to avoid magical entanglements. But this woman might prove too much temptation for him to resist. Mal stepped toward the woman and was halted by a hand on his arm. Why was Mother being so formal? He chafed at the delay and waited for the introduction. Mother’s tone was brittle, the words sharp, clipped, and forced. “Miss Cook, allow me to introduce my son, Lord Cuthbert Seward.” Mal frowned at the use of his hated first name, but returned his features to a genial smile when he bowed to Miss Cook. “And this is Miss Etta Mae Cook.” She said the name as though the sounds of it were acid, burning her tongue. Miss Cook curtsied. There was nothing precisely wrong with the curtsey, except that she didn’t look easy doing it. Something about the way she held herself said she wasn’t a woman meant to bow. Her motion caused ripples in the magical currents of the room, and the aroma of rich, fertile earth—like a field plowed and ready for planting—surged in his nostrils. The flavors of honeysuckle and salt cascaded over his tongue. “I’m pleased to meet you, Miss Cook.” From up close, he could see that her eyes were dark brown, with little flecks of green and gold glittering in the depths. Her magic—so full of potential, so warm and alive—pulled at him, strong and inexorable. Was this what Ian felt like when Viola was near? He closed his Sight, suddenly desperate not to see her brilliance, not to taste and smell and feel her. “Oh,” she said, and the sound came out flatter, and higher pitched, than her previous vowels. Almost as if another woman had spoken entirely. In the same faster accent, she said, “I didn’t mean to offend, Lord Malcolm.” This was her true voice, and it wrapped around his ears and his brain. A purely physical reaction, but one that woke his magic as though he were a teenage boy again, feeling the first swells of puberty and power. “You didn’t,” he assured her. He wasn’t offended, but his magic was slipping out of his control. He’d never felt such a sudden and overwhelming urge to merge his magic with another’s. But he couldn’t. Would never do that again. He clamped down on his magical senses even harder than usual, dampening the sensations that were as natural to him as the pressure of air on another person’s skin. He took refuge in humor. “And there’s no need to Lord me. I don’t care for the courtesy title or the first name. It’s my father’s fault. He read too much Browning.” He smiled at her, and won a small tilt at the corner of her lips in response. Those lips were far too enticing, and made him want to draw her close and discover how well they fit against his. He could fight the magical pull, but what about desire? She looked away from him, at his mother, and the smile faded. Mother stood with a frozen expression of polite interest on her face. But beneath the bland exterior, he she seemed ashamed. Or perhaps afraid. He wished Viola was here. With his senses dampened, he couldn’t read Mother’s aura, and he’d never been the best at interpreting those anyway. Malcolm started. Lilias Fay, first Duchess of Fay, was the most prominent member of his mother’s clan—a great seeress and witch who had been instrumental in the war against Napoleon. “So you’re my…” he paused, counting the generations. He’d heard that magic was outlawed in the southern United States after their civil war, and he’d even met a few Americans who’d come to England to train, but no one had ever approached the family directly. Clan Fay’s sort of magic was distinctly out of fashion. The twins would be born within a fortnight. Since his father had insisted that he go with the rest of the magically-gifted members of the family to the birthing, he and Mother would leave in a day or so to travel to the Highlands. Magically-gifted family members, Mal realized, now included Etta Mae Cook. There will also be print versions available at Amazon. If you like what you read, please consider reviewing the book wherever you purchase it. Reviews are one of the best ways to support an author, because the number of reviews is directly proportional to how much visibility that author receives from the retailer. Even a short “I liked it!” counts. Thank you! 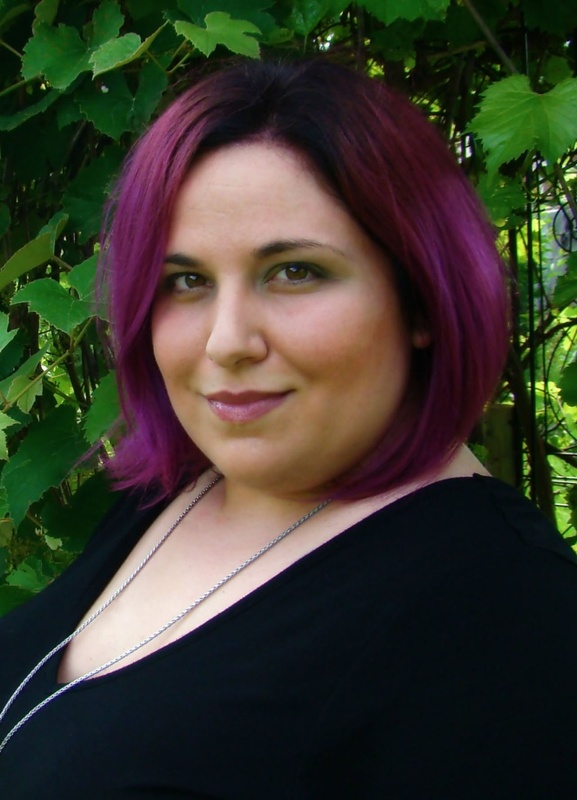 Cara McKinnon writes fantasy romances because her heart pumps equal parts magic and passion. Her love of history caused her to set her books in an alternate Victorian era, with surprisingly few changes from the real world. She lives on the East Coast of the US with her husband, two kids, and an oversized lapdog named Jake. RSVP here to the Facebook release party. 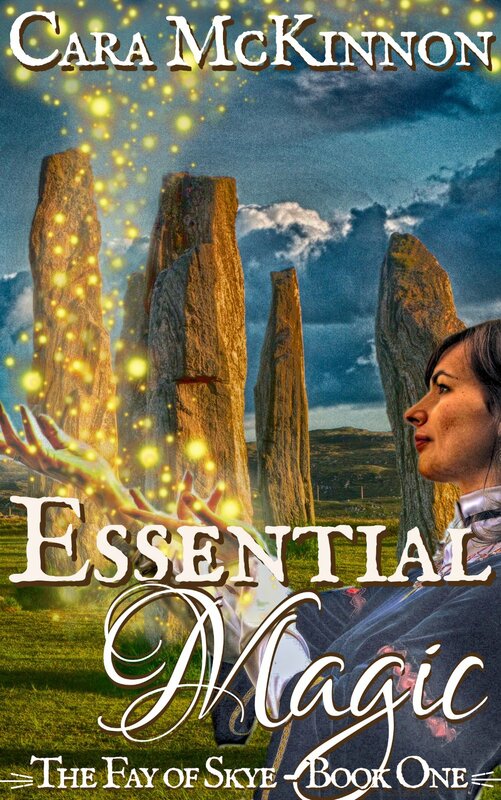 Answer some trivia questions or simply say hi, and be entered in a drawing for a paperback copy of Essential Magic! Subscribe to Cara’s newsletter to receive special subscriber-only extras, like snippets from upcoming stories, “deleted scenes” from published work, behind-the-scenes information, and chances to receive swag and even free copies of my books.